For Loop Haro, a stack of notepads and a box of nice pens are like fine wine. On Monday, he was overheard calling a pen he'd bought "delicious." "I come from a family of insurance agents who held in high importance having a good office space and good office supplies," he said. "A lot of the things I do were born from my sisters and me running around my grandfather's supply room in the back of his State Farm office in Auburn, Calif., obsessing over all those items." 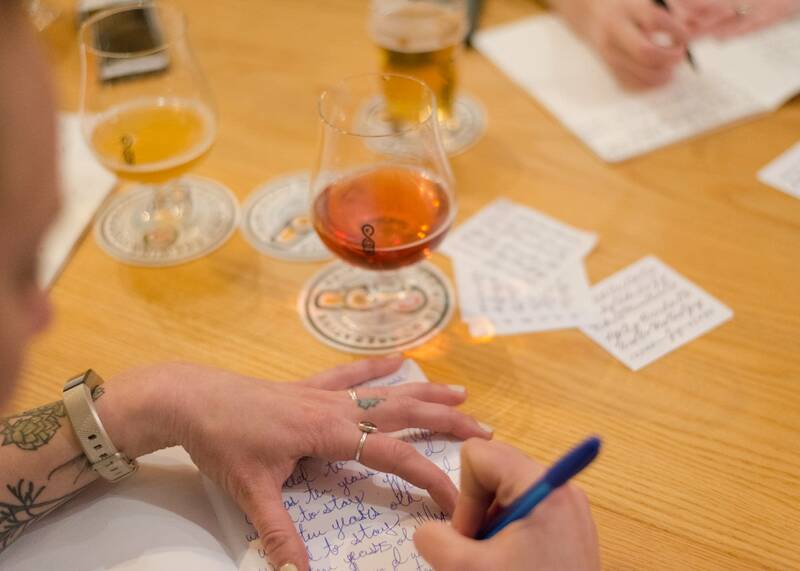 That obsession has translated into a social project called Tiny Motor Things, a quarterly meeting the 36-year-old West Coast transplant hosts at different brewpubs. 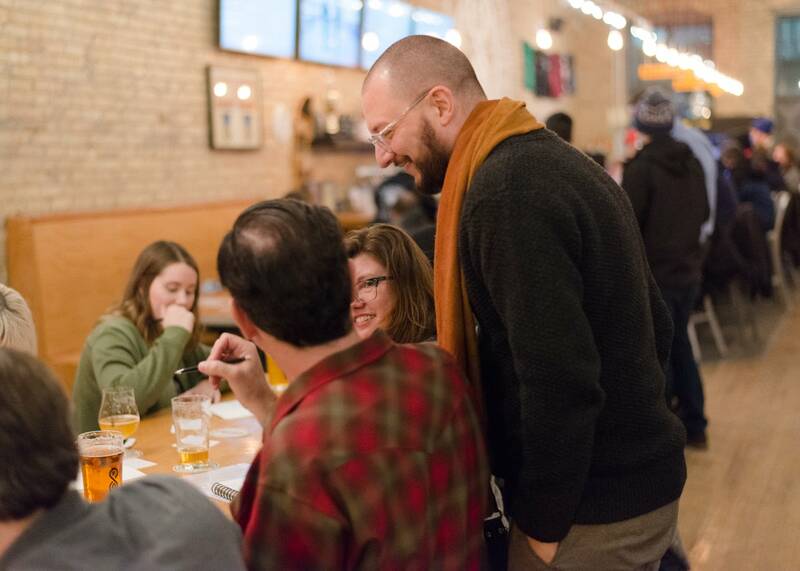 At Monday's gathering of about 20 people at Fair State Brewing Cooperative in northeast Minneapolis, attendees sipped and socialized while practicing their own cursive handwriting (The brewery, by the way, uses no cursive on its logo, walls, or beer menus). For Haro, a man with no high school or college degree, it's his clarion call: Save cursive as a form of penmanship. "Many years ago, one of my buddies at a happy hour mentioned to me, 'I just heard cursive's not being taught anymore in schools.' And that was mind-blowing to me. I knew I had to do some kind of little project to keep things alive — it was just for me, to start." To clarify, some schools do still teach cursive, but it's their choice. The state of Minnesota no longer requires cursive instruction as part of the academic standards all districts must meet. A state education department spokesman noted the focus instead is on "teaching writing clearly and legibly." With the glut of texts, emails and all things digital, it's easy to find voices bemoaning the end of something special. And worrying that with voice-recognition software ever-improving, might the day come we never need to write? 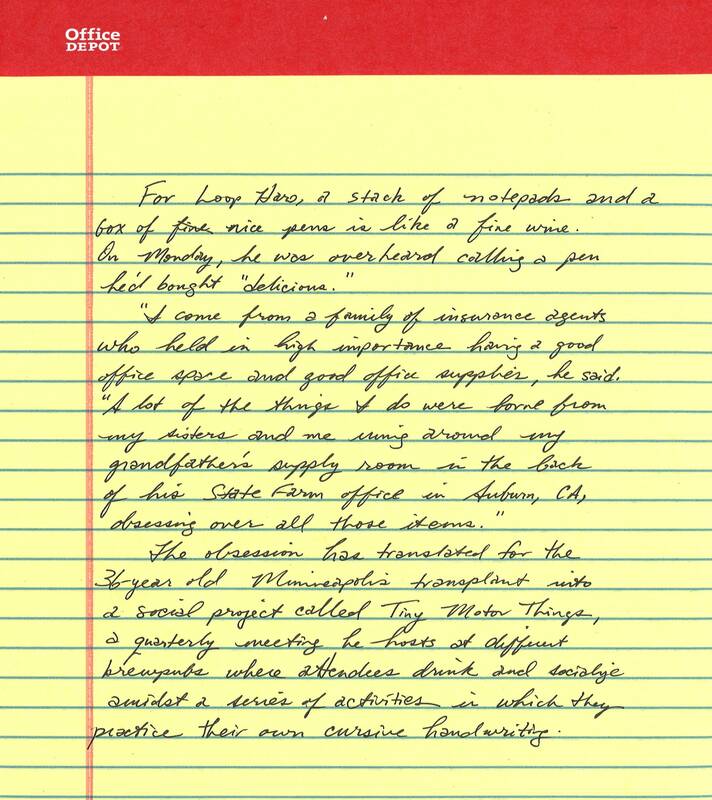 Defenders point to the benefits that cursive has on things like brain development. 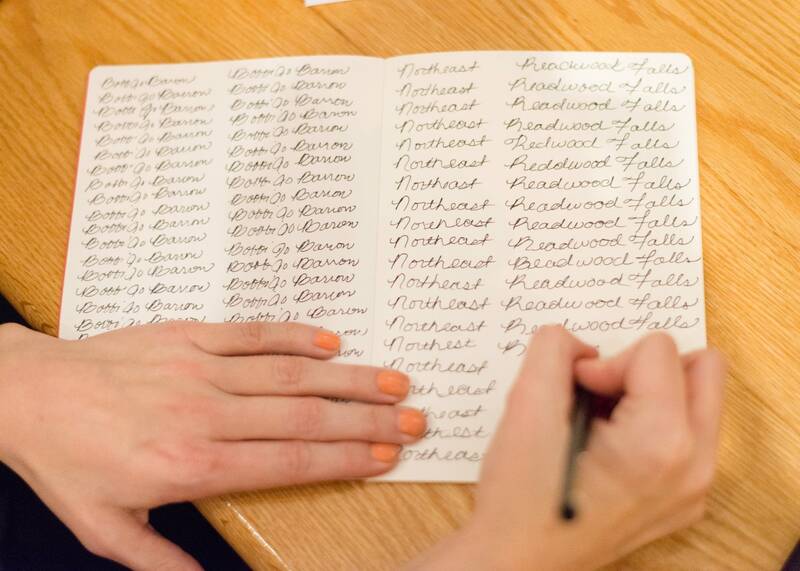 Other studies suggest cursive can help dyslexic children learn to read, or that flexible hand movements can actually help children develop deeper feelings and interest in the world, leading to a more "caring and capable individual." Worries about cursive's death are not new. A Time magazine story in 2016 details all the times the periodical has published articles that portended the end of cursive. The first was in 1935. And all is not lost! 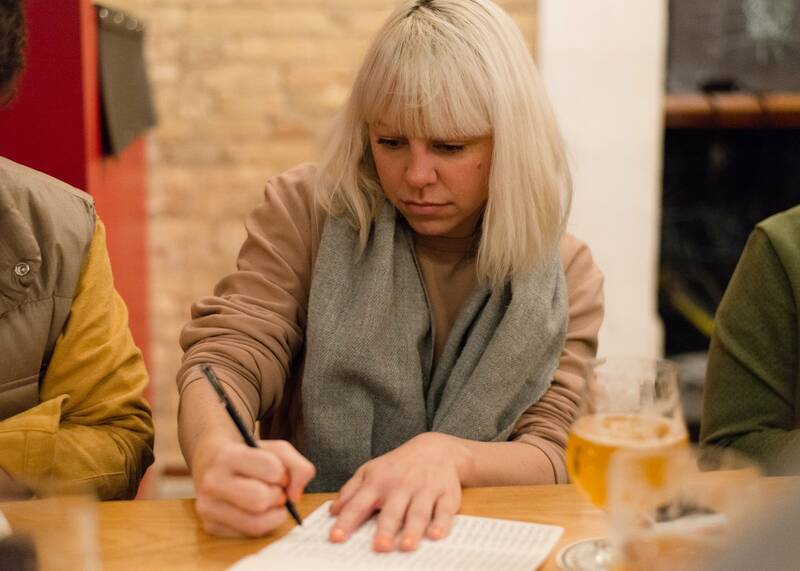 Minnesota has champion handwriters in its midst. The company Zaner-Bloser, which sells handwriting and vocabulary programs to schools, hosts an annual National Handwriting Contest. Last year, Jack Lieberherr of St. Anne's Academy in White Bear Lake won the contest for eighth graders. In 2016, Ella Erickson of Red Rock Central Elementary School in Jeffers, Minn., won among fourth graders. But perhaps the death knell also hasn't tolled because of efforts like Haro's, and those who joined him this week. "I think cursive is a lost art," noted Dustin Hackwith, a 32-year-old designer from St. Paul who said he welcomed the opportunity to get away from a computer. "It's interesting to connect with people in the past that had to write letters in cursive and that's how they communicated. Instead of proofreading emails before sending out, you just wrote it and that's that. That's what I love." 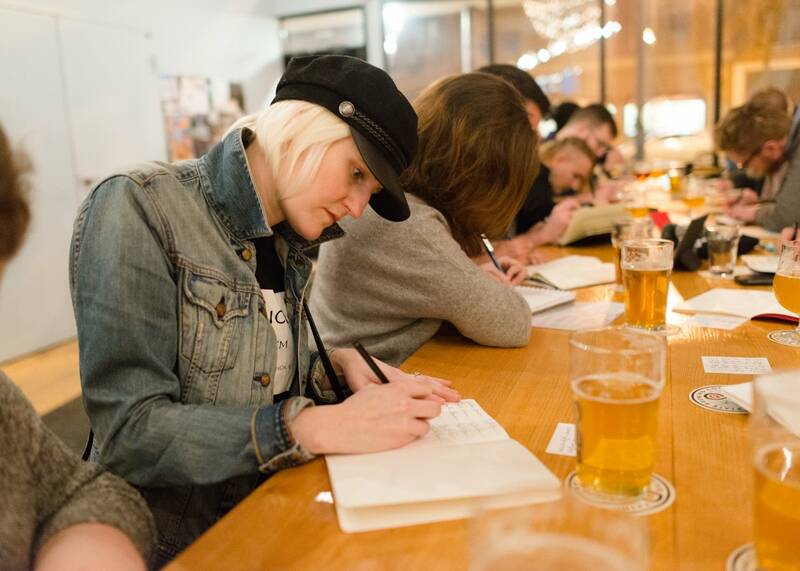 For Maari Cedar James, 36, of Minneapolis, the event was as much about having the opportunity to unwind as fighting the good cursive fight. "I think we want to be doing something more meaningful with our free time. We work a lot. We enjoy working. And then when I go home, I'm taking care of kids. "Having something like this to do, it's different." Haro structures the evenings with about six cursive lessons. He starts with a warm-up of writing out upper and lowercase letters of the alphabet, using the Palmer method that most of us learned in school. 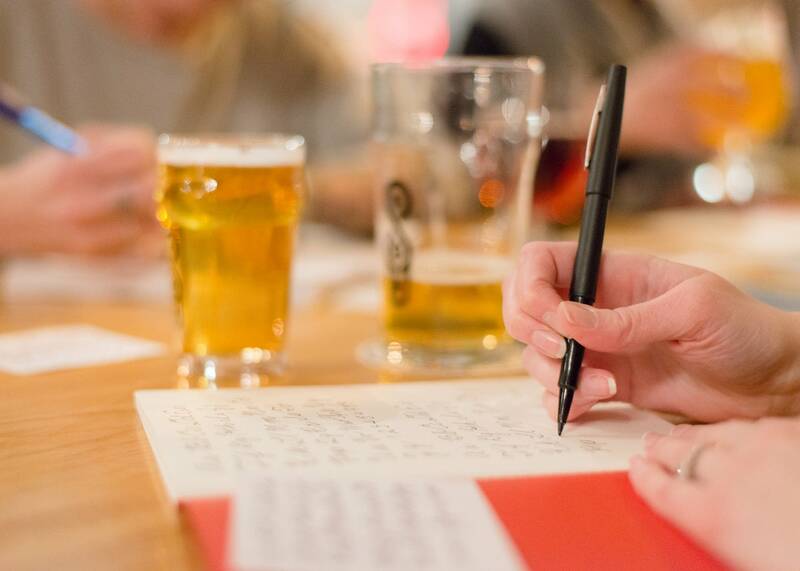 He then has people write out their names in cursive, then the cities where they were born — that usually gets people socializing. It all leads to the grand finale: He passes out pre-stamped vintage postcards and has them write a note to someone. He offers to mail the postcards. Cedar James has sent postcards to her grandmother and her children. "People are surprised to get one," she noted, with a hint of nostalgia. "It makes you slow down and think more about how it looks than what you're writing — more of an artistic creation than a linguistic creation," he added. Loop, by the way, is Haro's middle name, but it's a fitting nom de plume for the guy who loves cursive. His larger goal, even more than saving cursive, is getting us to think about how we communicate with others. "It's more about handwriting and written correspondence," he noted. "It's something that lasts longer on a different plane than any of the digital media we're exchanging now. "An email is great — I write emails for a living," he pointed out. "But there's nothing that could communicate the written word in as permanent way as handwriting and cursive."